The motorcycle riding is on the rise in recent years. More and more people preferring motorcycle as a preferred way to commute. Long distance group riding often requires navigation and communication. In today’s world, a Smartphone plays the basic role of communication. However, use of Smartphone while riding creates a distraction and may lead to fatal situations. Nuviz motorcycle head-up display addresses the issue by displaying all the communicational and navigational needs by displaying the information on the helmet wiser. The distraction-free riding is crucial for rider's safety. Nuviz offers all the functions of communication, navigation, and entertainment in one simple device. The integrated device has an action camera, music player, navigation and communication functions. So, simply distraction free riding is possible. The total weight of the device is just 240g with the battery, so it is very handy. Nuviz motorcycle head-up display: Enjoy ride clutter free! The Nuviz motorcycle head-up display can be attached to the helmet of your choice. The device simply removes all the clutter of cables and mounts. The head-up display shows all the relevant information in your clear line of sight. Hence, you can simply avoid the distraction without compromising on the functionality. The clutter-free riding is much more enjoyable and stress-free. The all-in-one Head-Up-Display keeps your focus clearly on the road. You don’t want to worry about loose mounts, hanging cables as those are not present. The intuitive controls also help in showing customized information without compromising safety. So it’s only you, your machine and the road ahead. In addition, the device works with Android 4.4.2 (or above) and iOS 10.2 (or above). The Nuviz motorcycle head-up display can sustain in all riding conditions including rain. The device also includes HD camera to take a picture or shoot a video. Upon the availability of the update, you can easily update the device camera function. Action camera: The action camera sits at the front of the device. The camera captures photos of 8MP. The HD video recorder can record videos at 1080p/30fps. The dedicated button on Nuviz controller captures every moment you wanted. The device then stores the photos in Smartphone and records video directly in the memory card via the Bluetooth. Head up display: The Nuviz Head up display comes with patented LCOS microdisplay. The optics create a virtual image of the data coming from device and project 13ft/4m in front of the eyes. The image floats clearly in rider’s line of sight. The full-color crisp image is vibrant and has the ambient light technology. The display adapts itself to changing light conditions and soothing to eyes even at night. The Power House: The Qualcomm quad-core processor with global positioning system gives the purest performance. The accelerometer, gyroscope, magnetometer, and altimeter enables all possible functionalities. 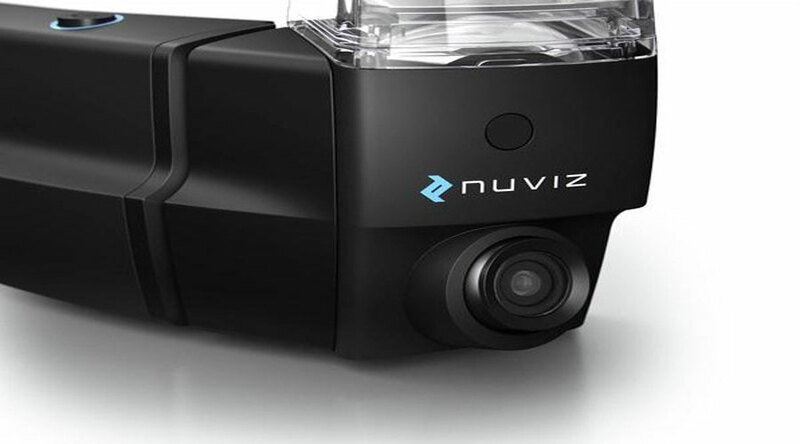 In addition, Nuviz also comes with Bluetooth and WLAN connectivity. Batteries: The powerful processor and sensors also need powerful batteries. 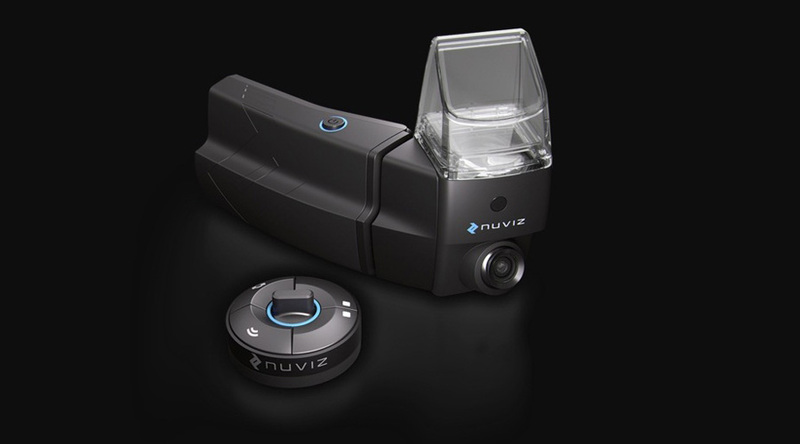 The Nuviz remain active all day long. The replaceable and rechargeable 3250 mAH Li-ion battery lasts for eight hours straight. In heavy use, the battery will last 3.5-6.5 hours. Control at your fingertips: The Nuviz and HUD interfaces are simple to interact. 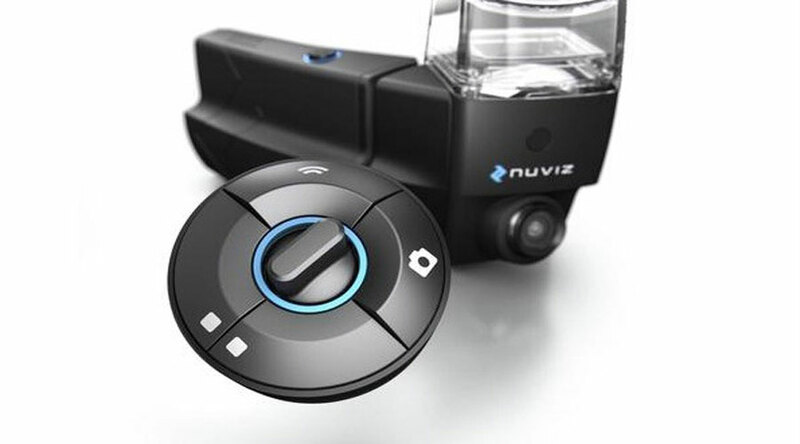 The Nuviz controller can be positioned in different ways on the handlebar. Furthermore, it is designed to use with gloved hands. The efficient Bluetooth low energy (LE) batteries help last for many years of use. The lightweight compact Nuviz head-up display combines many of your devices into one. In addition, you can simply control Nuviz with the wireless controller mounted on the handlebar. As a result, you are in control always without any distraction. Furthermore, you can play your favorite music on the go. From your Smartphone you can play via Google play music or via Apple music. So, you can enjoy your ride to the fullest. The package comes with a Head-up display, controller, Headset, and Hardware. Hardware includes batteries, pouch, USB cables and mounting plates. The device can be easily fitted on full-face helmets with high strength adhesive pads. In conclusion, Nuviz motorcycle head-up display is a great aid for easy distraction free riding without losing out on connectivity and navigation. Goldstone BYD electric bus: India’s first pure electric bus is here!